After dropping the first two playoff games at home in overtime, the Washington Capitals picked up momentum that only got stronger as they took down the Columbus Blue Jackets in four straight. 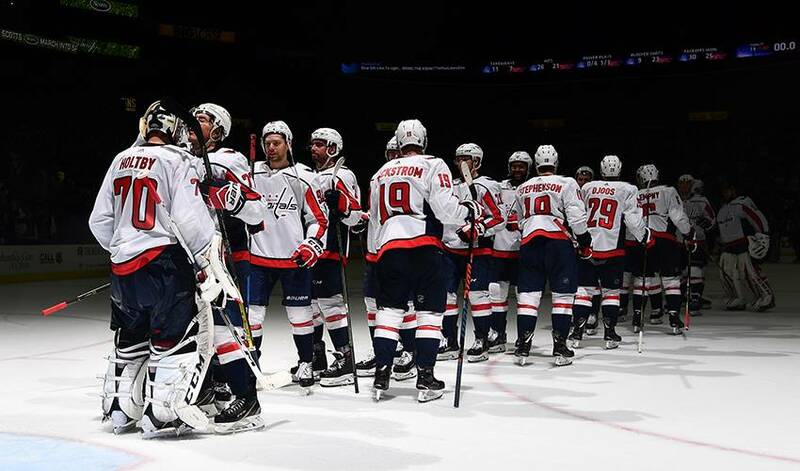 COLUMBUS, Ohio — After dropping the first two playoff games at home in overtime, the Washington Capitals picked up momentum that only got stronger as they took down the Columbus Blue Jackets in four straight. Now they'll strive to keep the intensity high as they advance to a second-round rematch with the Pittsburgh Penguins. "I can't wait to take a step forward," said Washington star forward Alex Ovechkin, who had two goals on Monday, including his 50th playoff tally. "They know how to play, they know the pressure. It's a huge series for us." "(He's) been fantastic," Ovechkin said. "He's stepping up big-time. He's top goalie in the league, and he showed it today and he showed it in the series." For his part, Washington coach Barry Trotz wasn't ready to talk about Pittsburgh yet after a taut opening-round series. "Please let me breathe," he said. "We haven't taken a breath since this started." One of the stories for Washington was its ability to defend Columbus' power play. After the Blue Jackets went 4 for 8 with a man advantage in the first two games, the Caps held them to 0 for 16 in the last four. Meanwhile, Washington took good advantage of Columbus penalties, scoring on the power play in each of the six games. "I think going into the year there wasn't a lot of people who said we would finish first in the Metro, and we did that," Trotz said. "And it's just creating a pretty consistent culture, and it's having good players too. It was a tremendous test for us. We didn't get off to a good start and had to dig ourselves out." "We've had lots of different adversity through this year and in the past, and we've grown up a little bit in some ways," he said. "We understand that our core group is really, really strong, they believe in each other. We've got a lot of young guys in the room. We've had to rely on our core to push us forward, and we have."